The CENTCOM Area of Responsibility includes the Middle East, including Egypt in Africa, and Central Asia, most notably Afghanistan and Iraq. The command has been the main American presence in many military operations, including the Persian Gulf War (Operation Desert Storm, 1991), the War in Afghanistan, and the Iraq War (2003–2011). As of 2015 [update], CENTCOM forces are deployed primarily in Afghanistan ( Operation Freedom's Sentinel, part of NATO's Resolute Support Mission, 2015–present), Iraq and Syria ( Operation Inherent Resolve, 2014–present) in supporting and advise-and-assist roles. As of 28 March 2019 [update], CENTCOM's commander was General Kenneth F. McKenzie Jr., U.S. Marine Corps. The command was established on January 1, 1983. 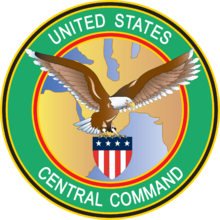 As its name implies, CENTCOM covers the "central" area of the globe located between the African, European and Indo-Pacific Commands. When the hostage crisis in Iran and the Soviet invasion of Afghanistan underlined the need to strengthen U.S. interests in the region, President Jimmy Carter established the Rapid Deployment Joint Task Force (RDJTF) in March 1980. Steps were taken to transform the RDJTF into a permanent unified command over a two-year period. The first step was to make the RDJTF independent of U.S. 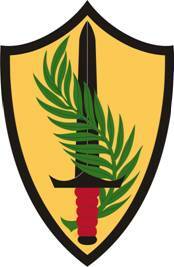 Readiness Command, followed by the activation of CENTCOM in January 1983. Overcoming skeptical perceptions that the command was still an RDJTF in all but name, designed to support a Cold War strategy, took time. After 1990, General Norman Schwarzkopf reoriented CENTCOM's planning to fend off a threat from Iraq, and Internal Look moved to a biennial schedule. There was a notable similarity between the 1990 Internal Look exercise scripts and the real-world movement of Iraqi forces which culminated in Iraq's invasion of Kuwait during the final days of the exercise. U.S. President George Bush responded quickly. A timely deployment of forces and the formation of a coalition deterred Iraq from invading Saudi Arabia, and the command began to focus on the liberation of Kuwait. The buildup of forces continued, reinforced by United Nations Security Council Resolution 678, which called for Iraqi forces to leave Kuwait. On January 17, 1991, U.S. and coalition forces launched Operation Desert Storm with a massive air interdiction campaign, which prepared the theater for a coalition ground assault. The primary coalition objective, the liberation of Kuwait, was achieved on February 27, and the next morning a ceasefire was declared, just one hundred hours after the commencement of the ground campaign. From April to July 1999, CENTCOM conducted Exercise Desert Crossing 1999, centered on the scenario of Saddam Hussein being ousted as Iraq's dictator. It was held in the offices of Booz Allen Hamilton in McLean, Virginia. :6–7 The exercise concluded that unless measures were taken, "fragmentation and chaos" would ensue after Saddam Hussein's overthrow. As of 2015 [update] CENTCOM forces are deployed primarily in Iraq and Afghanistan in combat roles and have support roles at bases in Kuwait, Bahrain, Qatar, the United Arab Emirates, Oman, Pakistan, and central Asia. CENTCOM forces have also been deployed in Jordan and Saudi Arabia. ^ "Africans Fear Hidden U.S. Agenda in New Approach to Africom". Associated Press. 2008-09-30. Retrieved 2008-09-30. ^ Tara Copp (August 21, 2018). "New CENTCOM, SOCOM leadership named". Military Times. Retrieved March 28, 2019.